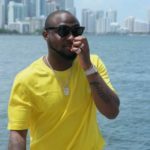 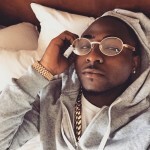 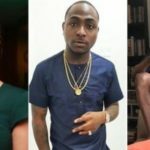 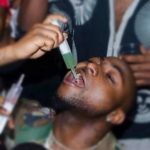 Singer, Davido has recorded another major feat in addition to his many achievements of 2017. 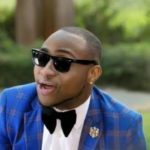 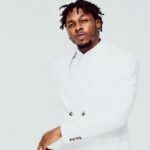 The singer recently scored 100 million YouTube views for his 5 music video releases in the year 2017. 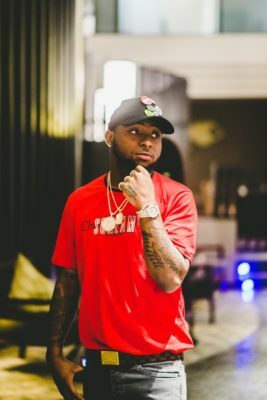 The visuals to Davido’s songs; If, Fall, Fia, Pere and Like Dat has had over 53 million, 37 million, 5.5 million, 4.2 million and 1.2 million YouTube views respectively. 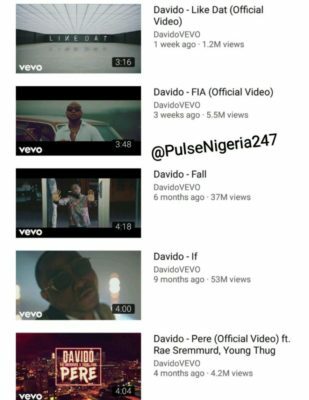 This sums up to 100 Million YouTube views for Davido in 2017.